Having worked in retail for over 20 years, and listening daily to a Muzak system on a 45 minute rotation, one might think that I would be sick of Christmas music. I could never tire of the Truly Great Christmas songs. This classic Christmas standard was written in 1944 by Mel Torme (yes, the Velvet Fog) and his friend Bob Wells. 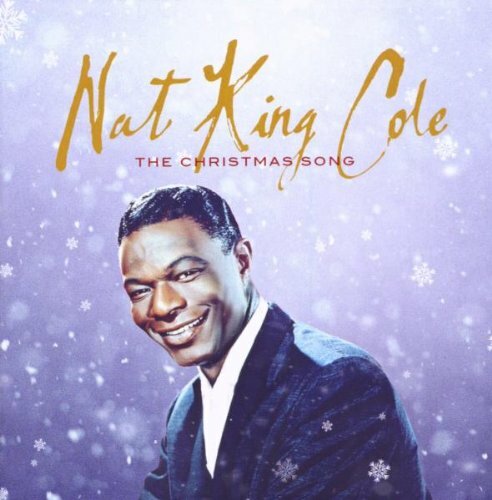 The first recording was in 1946 by the Nat King Cole Trio. Over the objections of Capital Records, and luckily for all of us, Nat King Cole insisted that it be re-recorded with a small string section. This second version became a huge hit on both the pop and R&B charts. Cole recorded the song a third time in 1953 with a full orchestra arranged and conducted by Nelson Riddle, and a fourth time in 1961 (in a stereophonic version) with an orchestra conducted by Ralph Charmichael. It is the 1961 version that is usually considered the definitive version and the one that we hear ever year. 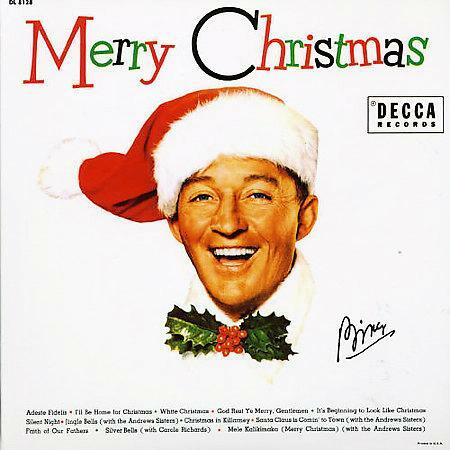 Written by Irving Berlin probably around 1940 (no one knows for sure), this Yuletide classic was first sung by Bing Crosby on his NBC radio show on December 24 1941. He recorded the song with the John Scott Trotter Orchestra and the Ken Darby Singers in 1942, and it was released in July of that year with a collection of songs from the film Holiday Inn. In the film, Crosby sings it as a duet with Marjorie Reynolds, although it was originally scripted for Reynolds to sing it alone. “White Christmas” went on to win the Academy Award for Best Original Song that year. Crosby’s recording hit number one on the pop charts in 1942, and two more times when it was released again 1946 and 1947. Making it the only song to hit the number one spot on the U.S. charts on 3 separate runs. The version of “White Christmas” most often heard today is not the original 1942 Crosby recording. Crosby re-recorded the track on March 18, 1947, accompanied again by the Trotter Orchestra and the Darby Singers, with every effort made to reproduce the original recording session. There are subtle differences in the orchestration, most notably the addition of a celesta and flutes to brighten up the introduction. The movie musical “White Christmas”, created entirely on the popularity of his song and filled with other Irving Berlin gems, was the highest-grossing film of 1954. Crosby was dismissive of his role in the song’s success, saying later that “a jackdaw with a cleft palate could have sung it successfully.” And Boy have they tried. It has been covered by an assortment of song-stylists, including Elvis, Bette Midler, The Drifters, Garth Brooks, Cee Lo and even Lady Gaga. But it is Bing who will always associated with the song. This song was first introduced by Judy Garland in the 1944 MGM musical “Meet Me in St. Louis”. Judy’s character sings the song to her distraught little sister, played by Margret O’Brien, who is upset that the family may be moving to New York City and away from their beloved St. Louis just before the Louisiana Purchase. It was written by Hugh Martin and Ralph Blane while vacationing in Birmingham, Alabama. Garland and her soon to be husband/director Vincent Minnelli thought the original lyrics were a little bit cynical for a Christmas song. Begrudgingly, Martin changed a few lines. For example, the lines “It may be your last / Next year we may all be living in the past” became “Let your heart be light / Next year all our troubles will be out of sight”. Garland’s single of the song became so popular, especially among U.S. Troops serving in World War 2, that her live performances of the song brought many soldiers to tears. 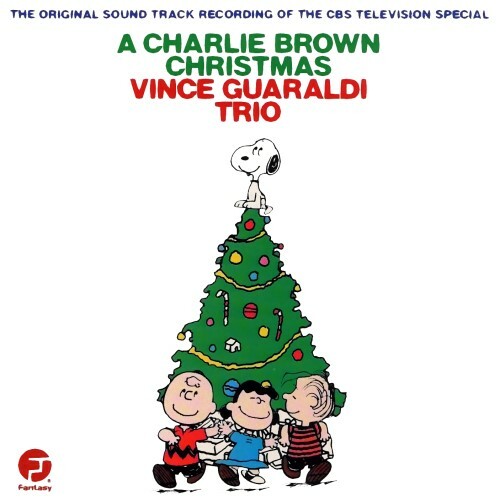 Lee Mendelson, the producer of the Peanuts Christmas Special, heard the Vince Guaraldi Trio’s “Cast Your Fate to the Wind” on the radio while in a cab on the Golden Gate Bridge. He had been looking for someone to score the upcoming “A Charlie Brown Christmas”, and thought Guaraldi was perfect. Guaraldi enthusiastically took the job and performed “Linus and Lucy” for Mendelson over the phone just 2 weeks later. You probably know that song as the signature Peanuts theme. The soundtrack wasn’t actually recorded by the Vince Guaraldi Trio. Vince was there on piano, and drummer Jerry Granelli, but bassist Fred Marshall was sick and had to be replaced by studio musician Ralph J. Gleason. Guaraldi went on to compose scores for seventeen Peanuts television specials. A soundtrack album for “A Charlie Brown Christmas” was released by Fantasy Records and remains a perennial best-seller that launched the single “Christmas Time is Here” into the annals of classic Christmas carols. While the soundtrack contains some music that does not appear in the TV special, it also fails to include two musical themes that do appear in the special. The soundtrack also includes the full version of “Hark! The Herald Angels Sing” without the audio fade-out where the Coca-Cola voice-over originally was when Coca-Cola was a sponsor of the program. If you make it to our house during the month of December, you will hear this soundtrack. 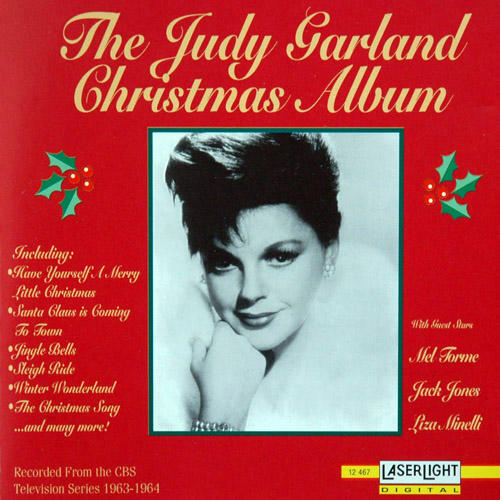 Probably because this is the music that we listened to as children during the holidays…. and who doesn’t want to be reminded of what it feels like to be a child during the holidays? Great selection of songs, and thanks for the back story on them 🙂 I hope you have a wonderful Christmas and very Happy New Year! Merry Christmas ! Guys! Love your inspirations! I have a little antique shop and I wish I could play Christmas music all yearlong! These songs were the ones I listened to as a child too, good memories! As I’m poring through your archives I just have to comment here. Check out Ray Charles’ Spirit of Christmas album. I can listen to that thing all year long.